Birds of all types, (basically whatever I get to see in my neighborhood). 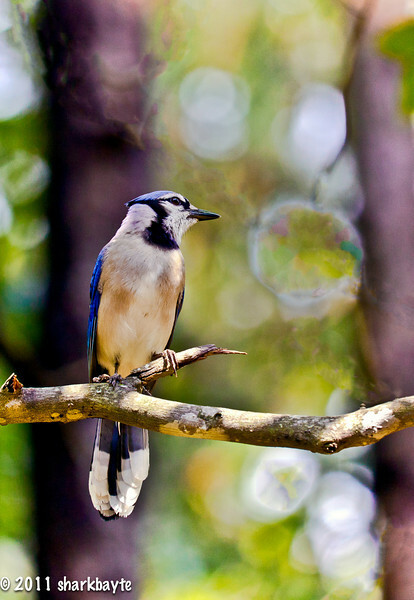 June 29, 2011-Finally I caught up with the Blue Jay's (Cyanocitta cristata). I had seen a few flying around at the feeders and other yards, but every time I put the camera to my face or turned to grab a shot they took off. I got a few shots, one I really liked but you couldn't tell it was a Blue Jay by the way she held her head. I had counted five so far, there probably are a few more. (Day 180:365 @sharkbayte).